Phonics – this focuses on your child being taught letter sounds, blends and clusters to help ‘word attack’ skills for reading. There is a structure to it whereby your child starts by learning the 44 separate sounds of individual letters and long and short vowel combinations. They need to have a good phonemic knowledge in order to become fluent readers. Often the pictures in early scheme books provide the humour and interest, therefore it is important to focus on those in order to make the read an enjoyable experience. If we were to rely entirely on this method it would be very limiting and create a very robotic response to reading. Look and say method – This relies on the children learning to distinguish whole words in isolation. Over time your child will build up a sight vocabulary of common words, many of which are difficult to guess by using other methods. Flashcards and games, such as bingo, played with the teacher help the children develop word recognition. These activities may be sent home for continued practice with an adult. Look and say books use these key words frequently and build on them as they progress. Language experience approach (reading for meaning) – This follows on from look and say but involves more complex sentences that rely on a discussion about the book before you start reading it. It requires the use of picture cues to help make meaning of the sentences and any non-high frequency words should have been discussed before starting to read. 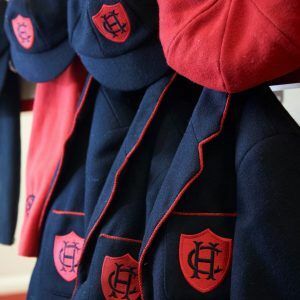 Life at Chepstow is always busy - click here to read about our school news.